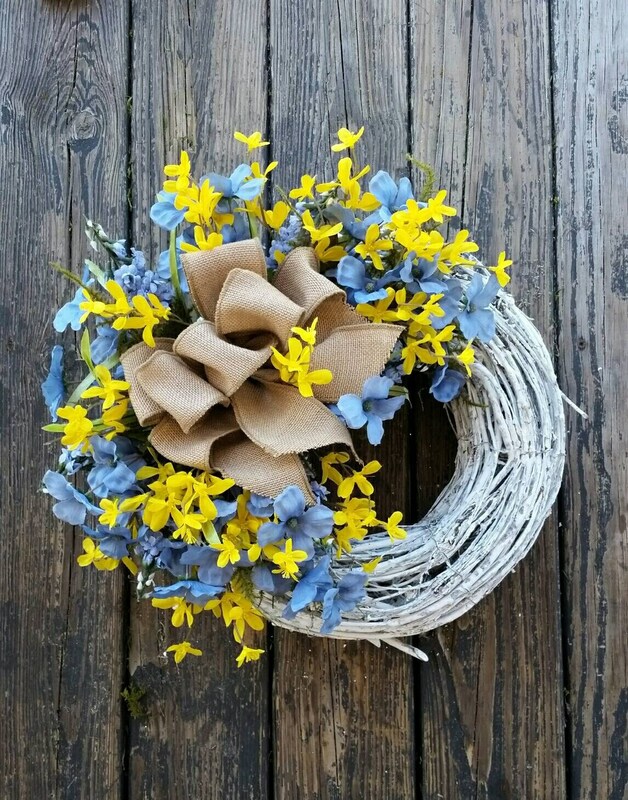 Add a splash color and whimsy to your home with this lovely blue and yellow summer wreath. 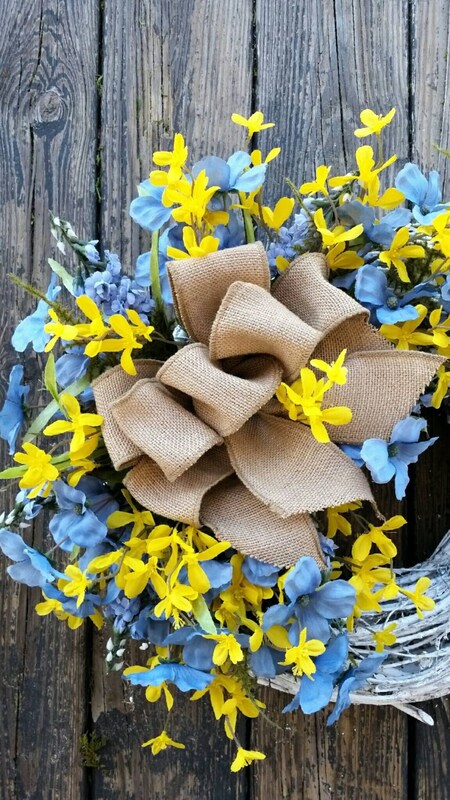 Blue dog wood blooms, blue snapdragons, and yellow forsythia surround a beautiful burlap bow. The base is a 15 inch twig wreath painted white. 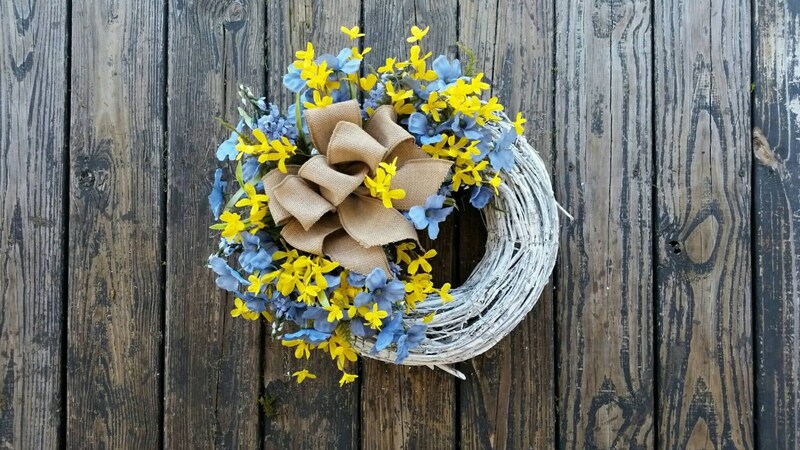 Twig wreaths are a bit different from grapevine wreaths. They are heavier and made from actual twigs curled into a wreath form. 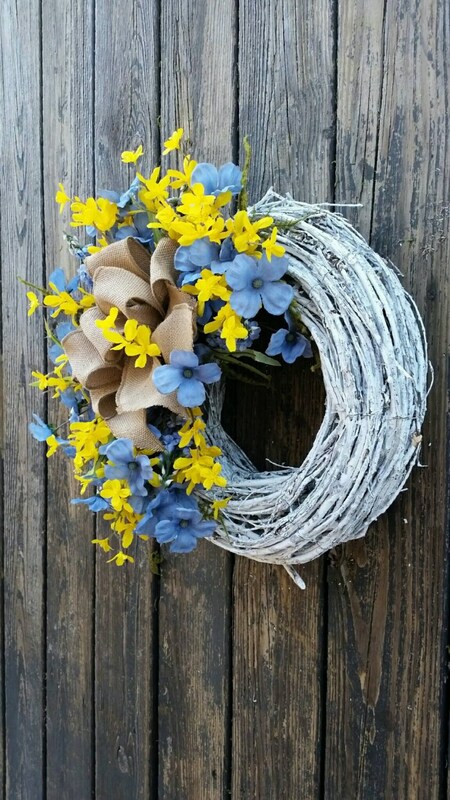 The finished wreath is thicker, heavier, and sturdier than grapevine wreaths. 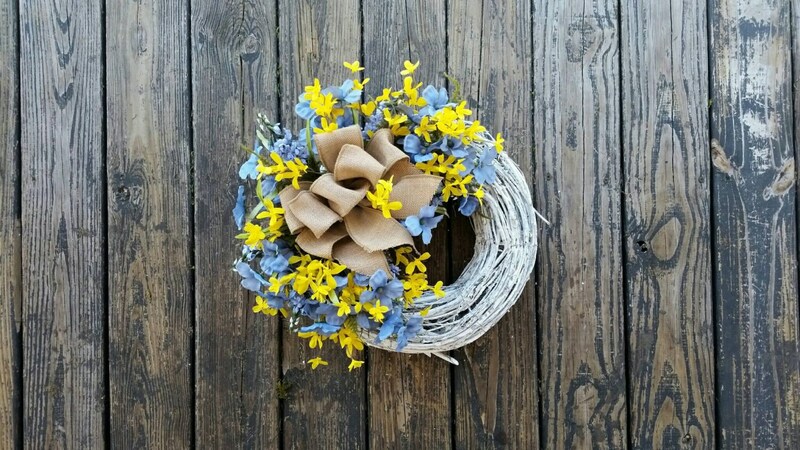 The finished wreath measures approximately 17 to 18 inches tip to tip.